Do you like the t-shirt? I love it! This is a shot from today's wedding. After a long day shooting, we are finally on our way home :) Art looks really energetic! you guys look too cute! and yes i LOVE that shirt! I agree, you two, cuteness! I love both pics! Let's go Lakers! 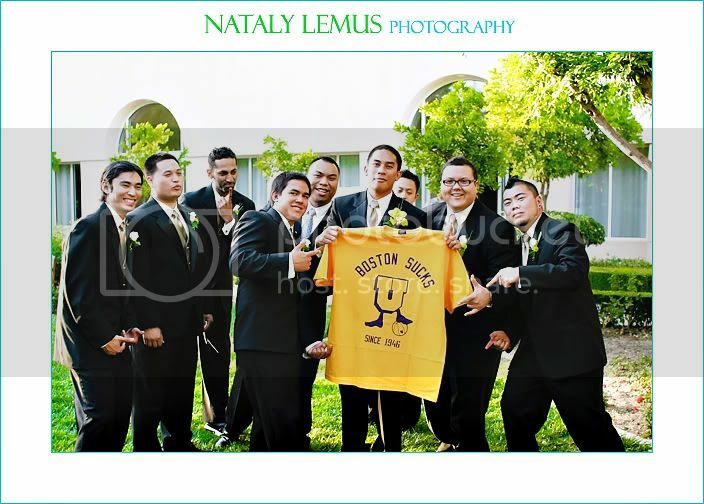 Thanks for shooting Jai and Chris' wedding! Can't wait to see more! Thanks for stopping by my blog, Nataly! Your images are AWESOME!